UNION, S.C. March 17, 2014: The Professional Drag Racers Association is quickly approaching their inaugural series event. This PDRA Spring Open National Event will be held at Rockingham Dragway in Rockingham, N.C. April 3-6. This locale is rather fitting since Rockingham Dragway has been home to many history-making moments over the life of professional eighth mile drag racing. Rockingham Dragway was home to the maiden American Drag Racing League event, and, later, the sight of their first ticket giveaway promotion. This marketing tactic, although initially scorned by many, proved to be highly successful. Building upon the strengths developed over the last decade of professional eighth mile racing, the PDRA is also utilizing free ticket drives to promote their brand new series. 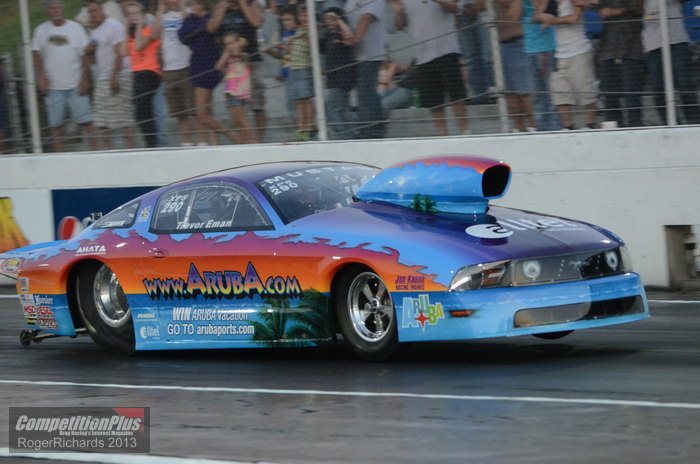 Extreme Pro Stock Team Aruba has been dedicated to their eighth mile series since a Pro Stock class came available. Now, latching on to the ‘by racers, for racers’ approach of the PDRA, Team Aruba is increasing their commitment and involvement in helping this newborn organization succeed. Although Team Aruba hails from their namesake country, their race shop is based out of Union, S.C, which makes the Spring Open their home stop on the PDRA tour. To help get the word out about this historical event, Team Aruba has partnered with the Union County Chamber to distribute 10,000 of the free event tickets. “The Rockingham race is the easiest race for folks from our U.S. home base to attend,” told team owner Ven Eman. “We hope that by distributing the PDRA’s free tickets in Union and the surrounding areas, our local fans will come see us race. It’s an excellent opportunity to be part of history in the making at the first-ever PDRA race. Tickets are available in most stores in the town of Union and also through the Union County Chamber of Commerce and its members. Keep up with Team Aruba on Facebook and Twitter. Find race results, team updates, videos and photos. Also leave your comments to cheer on Team Aruba! Visit www.PDRA660.com and become part of future racing.